Cyril Ramaphosa is a South African icon, a politician, an activist and a renowned businessman and interim President of the Republic of South Africa. Ramaphosa became South Africa’s fifth President on February 15, 2018, following the resignation of his predecessor Jacob Zuma and a subsequent vote of the National Assembly. Majority of the people know him for obvious reasons, which are politics and businesses. But there are other facts which are unknown to many, especially during his early life. In fact, Ramaphosa is his father’s name, his real name is Cyril Matemala. Ramaphosa was born in Soweto, Johannesburg on November 17, 1952, to a retired policeman, Samuel Ramaphosa and Erdmuth. Ramaphosa is the second of three children born into a Christian family. He attended Mphaphuli High School in Sibasa, Limpopo, where he was elected head of the Student Christian Movement. While in school, Ramaphosa was active both in his academics and political activities. His activism at school was in contrast with his father’s job as one of those helping the apartheid regime to implement their laws and orders which were meant to humiliate Africans. At the University of the North (Turfloop) where he studied law, Cyril Ramaphosa was always involved in student politics, in 1974, he became chairman of black consciousness organisations, these were SASO (the South African Student’s Organization) and the SCM (Student Christian Movement). Steve Biko was his key influencer at that time just like his peers. He served on many committees of BPC (the Black People’s Convention) in the year 1974. Following his stance against the apartheid government, Ramaphosa had to spend some time in Prison. While as a student in 1974, he was detained for 11 months in Pretoria Central Prison. Two years after, he was detained for another six months in the John Vorster Square detention centre Johannesburg. This, in so many ways, affected his career as he was only able to complete his degree by correspondence through the University of South Africa in 1981 after nine years. After completing his degree in law, he left legal practice and joined an independent trade union CUSA as a legal adviser to fight for his people. Ramaphosa was elected general secretary of NUM (National Union of Mineworkers) in South Africa in 1982, at the age of thirty. He became prominent in extra-parliamentary politics at thirties through his hardwork in NUM and the COSATU (Congress of South African Trade Unions). In 1982, Ramaphosa was made the first detail to allow change of policy in the mining sector. This happened when the Chamber of Mines together with the South African Government allow black Africans who were working in the mine to join the unions so as to transform labour relations in the South African mining sector. Before, union rights were denied to African origin mineworkers. The workers were lowly paid, exploited and lived in extremely poor conditions. To change the policy, a number of unions prompted and organised the country’s over 650,000 black mineworkers. The CUSA has to detail Ramaphosa so as how to undertake that task, and in the middle of the same year NUM (the National Union of Mineworkers) was born. By 1985, he had joined the newly formed Congress of South African Trade Union (COSATU) and was among the union’s delegation which met the African National Congress (ANC) in Lusaka, Zambia. Ramaphosa was also the first Secretary-General of the National Union of Workers which became the fastest growing union in the world. After its formation, Cyril became the first secretary-general of the union. As the first general secretary, Ramaphosa embarked on organizing public activities and collective bargaining. Under his leadership, the NUM grew rapidly by learning from past mistakes. Within 5 years that union had a membership of more than 350,000 workers, and that made it the fastest growing union not only in South Africa but also in the whole world. It also became South Africa’s largest and most powerful union. The union focused on wages and good working conditions as well as jobs that were reserved for whites only for many years. The union won some victories in many courts, giving them even more bargaining power. Following his influence in South Africa and his role as the leader of the Union of Workers, Cyril Ramaphosa had led a number of strike actions and movements in the country. A good example is the 3-weeks working strike which was the biggest and longest strike in the mining industry in 1987. This strike action which Ramaphosa along with the NUM president James Motlatsi organised came after the breakdown of talks about wages in that year. The Union, however, suffered much loss as over 40,000 workers were fired afterwards and life became much more difficult for officials and organisers. 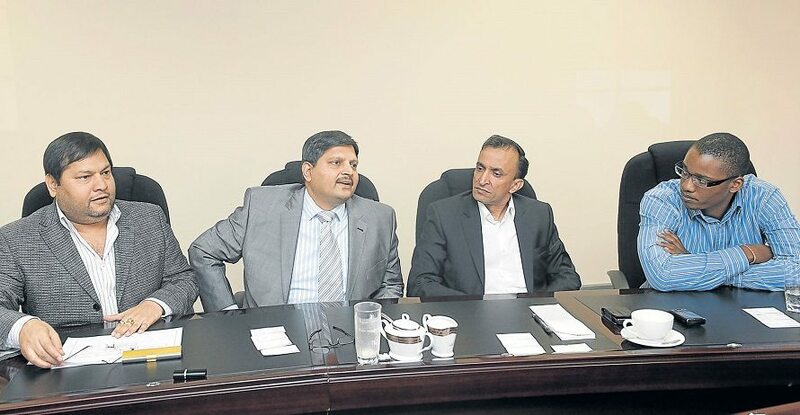 Another strike action held under Ramaphosa’s watch was the August 2012 unprotected strike at Lomnin- a company that Ramaphosa was a non-executive board member. The strike later climaxed with the Marikana Massacre that left 34 mineworkers dead at the hands of the police. 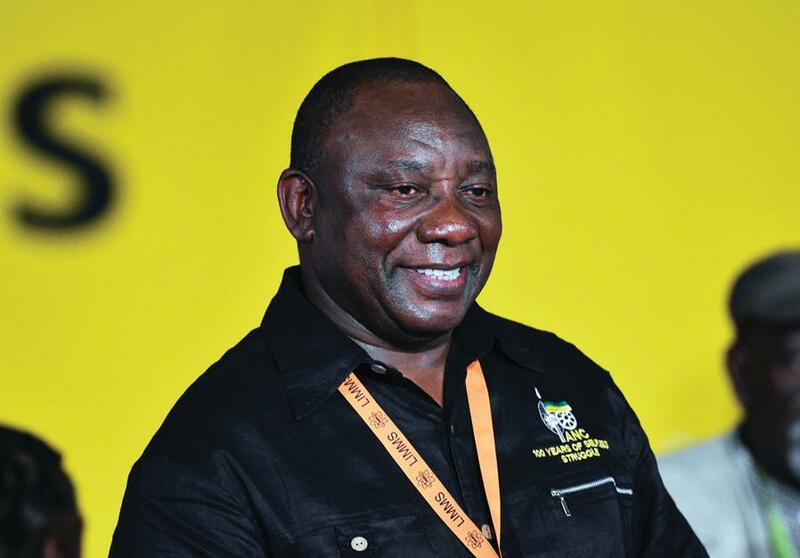 Ramaphosa’s prominence and public stature grew even higher when he officially joined the African National Congress and was elected secretary general of the party in 1991. He was one of the key architects of the country’s constitutional democracy. When Nelson Mandela was released from prison in 1990 and was due to make his first ever public speech in thirty years from City Hall in Cape Town, Cyril Ramaphosa introduced this veteran politician to the people. Ramaphosa was chosen as secretary-general of ANC. This was the second position, next to president Mandela. He was elected as a member of the parliament in 1994 and by December 18, 2012, he was elected as the Deputy President of the ANC with 3,018 votes. On September 18, 2017, Cyril was elected President of ruling ANC after winning a close race against Nkosazana Dlamini-Zuma, Jacob Zuma’s ex-wife. On February 15, 2018, he was declared South Africa’s President. 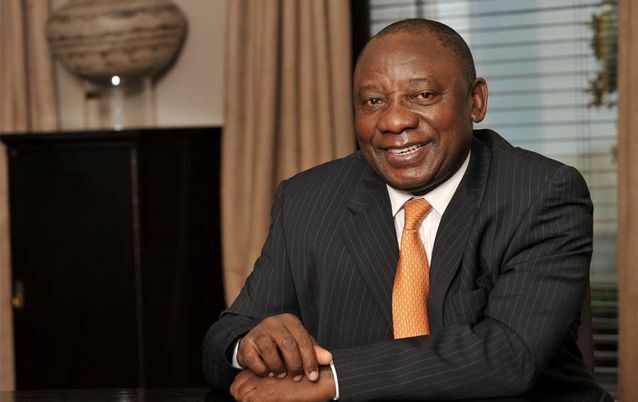 Aside from being a political juggernaut, Cyril Ramaphosa is a strong force among business individuals in South Africa having strong influence on the country’s economy, thanks to his business activities. Forbes in 2015 mentioned him as the 12th richest man in South Africa with a net worth of $450 million or R5.2 billion. Following his new political status, his net worth is bound to increase significantly. He is said to be earning R3.6 million, R700 000 more a year than former President Jacob Zuma did. In addition to his huge earnings, Ramaphosa has properties worth millions. He is said to have a house in Fresnaye, one of Cape Town’s most affluent suburbs, situated between Signal Hill and Sea Point. In his declaration of interests for 2016/17 to Parliament‚ he disclosed that he owns 32 properties – mostly townhouses in Johannesburg. He also declared two flats in Cape Town. He is listed as a beneficiary and trustee of the Tshivhase Trust. Known as the “buffalo” many close friends and family members, Cyril has been married twice. His first marriage was with Nomazizi Mtshotshisa, a businesswoman and first African female chairperson of the New York Stock Exchange-listed Telkom. The couple divorced in 2008. Mtshotshisa died the same year after a long illness. Cyril later married Dr Tshepo Motsepe, the sister of mining billionaire Patrice Motsepe. The couple now has four children- sons Andile and Tumelo and daughters Keneilwe (Kiki) and Mashudu. He also has an older daughter, Tulisa, from his first marriage.